“The Grand Tour” is due for a victory lap already — at least according to Amazon. Last week’s premiere of the new automotive series featuring the former hosts of “Top Gear” has become the biggest show rollout ever on Amazon Prime Video. Amazon does not release official viewership numbers, but said on Monday that viewers in the U.S., U.K., Germany, Austria and Japan all streamed the premiere over the weekend. 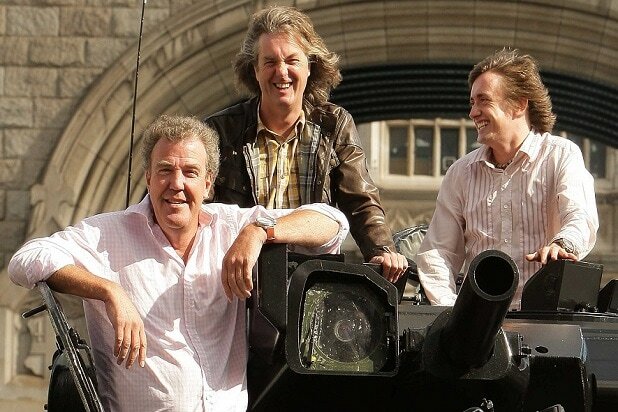 The series stars Jeremy Clarkson, Richard Hammond and James May doing what they do best — traveling the world and discussing anything and everything car-related. Clarkson, who is known for being impulsive and outspoken, got into hot water at “Top Gear” after he punched a producer; he later apologized for the incident and settled a lawsuit over the matter. Viewership has even exceeded that of the previous number one show, “The Man in The High Castle.” Additionally, the day “The Grand Tour” debuted, total new Prime membership sign-ups exceeded all previous days with the exception of Amazon’s Prime Day. Further episodes will be released weekly over the next 11 weeks for Prime members in the U.S., U.K., Germany, Austria and Japan, and the show will premiere worldwide for Amazon customers in over 200 countries and territories in December. Creative liberties? 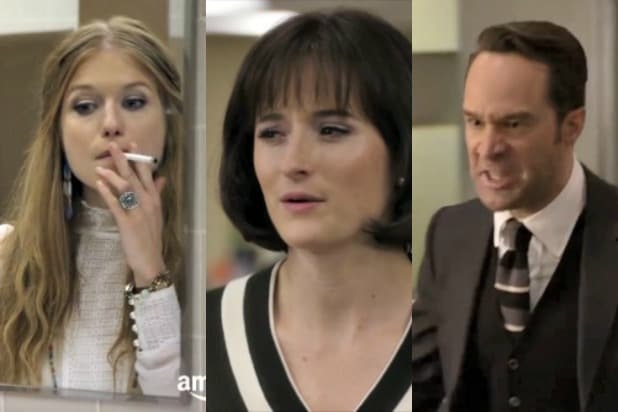 Amazon takes a few in its new series "Good Girls Revolt," about a group of women who sue over their treatment at a male-dominated newsweekly in 1969-70. Genevieve Angelson plays Patti, a young journalist seen in the pilot marching to work through midtown Manhattan ... past a fairly large anti-Vietnam War protest. In December 1969? We can't find any record of such a protest during that month. However, six months later, in May 1970, New York was shaken by the Hard Hat Riot, when hundreds of construction workers attacked students protesting the shooting deaths at Kent State. Jim Belushi plays Wick, the cranky newsroom boss, who in the pilot, after a lot of arguing and hand-wringing, orders his staff to cover the violence at the Rolling Stones concert at the Altamont track in California. Small problem: Newsweek didn't cover the Stones' concert at all at the time, according to a 1970 piece in Rolling Stone (and neither did much of the rest of the mainstream media). Mick Jagger and the Stones performed at Altamont on Dec. 6. That was a Saturday, which means the news of the violence would have broken over the weekend, and not on a busy workday, which is when the staff on "Good Girls" breathlessly discusses Altamont as if it's happening in real time. But then chronology just isn't a strong suit for "Good Girls." Wick at one point says that the indictment of Charles Manson happened the day before Altamont. Wrong again. Manson and his fellow cult members were indicted on Dec. 8, two days after Altamont. Well, at least we have a solid character in Nora Ephron (Grace Gummer), the late writer-director who, it turns out, really did work at Newsweek. Except, oops, Ephron worked there in the early 1960s, and in the mailroom, not as a writer. She had nothing to do with the gender-equality action the show dramatizes. But "Good Girls" does get one detail right: Ephron really did go to Wellesley College. Even the small details on "Good Girls" require some skepticism. At one point, a character says her boyfriend is going to take her to the "Mark Rothko Retrospective at the Guggenheim." Nice! Except that art show was a cool thing to do ... in 1978, nearly a decade later. Oops, time for a cigarette break.